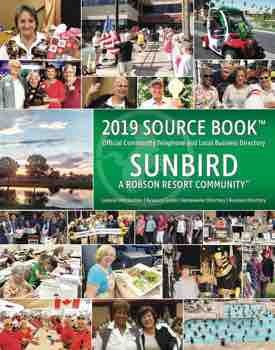 It’s a GREAT TIME of year at SunBird with all of the activities and events in full operation. We are excited about the many new activities and events scheduled this year. The clubhouse and recreational facilities are packed daily with residents enjoying and having fun! The weather has been terrific and is arguably the best in the country. We hope you take full advantage of all SunBird has to offer. Mid-December, the Kerby Farms exit vehicle control gate operators became unrepairable and needed replacement. The gate contractors were contacted immediately, parts were ordered and the work was scheduled as the new equipment arrived. The City of Chandler Fire Department requires emergency vehicle access to gated communities and required the exit gate remain open at all times until repaired. The gate was repaired within about two weeks’ time and is back to normal operating condition. Surveillance cameras at the entry/exit gates and around the clubhouse have been of great benefit. Recently, we identified and caught two separate incidents of unauthorized vehicles entering into SunBird and damaging the gates or barrier arms. SunBird Patrol was able to view the video from their telephone and located the person to pay for the damages. If you observe or notice any non-emergency suspicious activity (in emergency cases call 911), please call the SunBird Patrol at 480-797-8605 immediately. One of the focuses of SunBird this year will be safety. This past year, we have had some vehicle and golf cart mishaps. Fortunately, no one has been seriously injured or hurt. We are requesting everyone’s cooperation in complying with the stop signs, speed limit signs and to just use common courtesy while driving. We have been very lucky. Another focus this year will be to begin to update and modernize the clubhouse. The clubhouse is over 30 years in age and has budgeted some new carpeting and painting this summer. As with any home-remodel project, when you start with a few updates, it seems many more ideas and projects arise to improve upon what was started. It may take a few years to complete furniture, décor and other possible updates to the clubhouse, but it needs to start and start with a good plan. SunBird is located right next to desert open space that can have wildlife visit from time to time. Normally what draws them into an area is food and shelter. A coyote has been reportedly seen in SunBird a few times over the past couple of weeks. Coyotes normally do not pose any trouble to people unless they feel threatened. Making loud noises usually scares them off. It’s best to keep pets, when not attended, in the house along with their food and water. Placing garbage in sealed bags in containers with closed lids will also help deter wildlife. Enjoy the good life at SunBird!